Dar Al Fouad Hospital is a renowned and accredited medical facility in Egypt with a capacity of 141 beds and has an infrastructure built up to international standards.  The hospital offers trustworthy clinical care and healthcare services in outpatient and inpatient facilities to patients from and outside Egypt. Dar Al Fouad Hospital has a collaboration agreement with Cleveland Clinic Foundation (CCF) and also with Hartmann Institute, which allows knowledge transfer and accessibility between the institutions. The hospital houses expert medical professionals and competent support staff, trained in advanced procedures and skilled in handling high-tech instruments. The cost of a Aortic valve stenosis depends on a number of factors and it is important to understand the reasons for wide range of costs in the market, and consult experts to help you avoid surprise elements. Your overall health is one factor that can affect the final cost of your Aortic valve stenosis. The risks involved with surgery increase if you have any existing health issues. A general health examination will be carried out during the consultation period to assess the level of risk involved if the surgery for Aortic valve stenosis goes ahead. Underlying conditions could result in the cost of Aortic valve stenosis being higher. The experience and reputation of the hospital and surgeon is another factor that can increase or decrease Aortic valve stenosis prices. Aortic valve stenosis surgeons with particularly good reputations and decades of experience are likely to demand a higher price. Savings on Aortic valve stenosis can be found with surgeons who are highly-skilled but still developing their reputation. The possible expense of aftercare and rehabilitation for surgery will not usually be covered by the initial Aortic valve stenosis cost estimate given by the hospital. The patient might also acquire additional costs from nurse and therapist visits. Painkilling medication and specialist equipment can also increase the price. Aortic valve stenosis Hospitals Patients can find significant cost savings and shorter waiting times without compromising on quality by traveling from their home country for a major procedure like a Aortic valve stenosis. One of the first things to consider when searching for a hospital for Aortic valve stenosis is the experience and profile of the surgeon. The patient needs to build a good relationship with the surgeon as the recovery period and specific details of the Aortic valve stenosis vary depending on his or her condition. It is not always possible to meet face-to-face with the surgeon before traveling for Aortic valve stenosis abroad. Many hospitals offer a series of consultations either by phone or online. This allows patients to communicate any concerns with the surgeon prior to treatment. Many hospitals have started offering services designed for Aortic valve stenosis to make the process smoother for international patients. More services include translation and interpretation, airport transfers, car rental, concierge services and hotel booking. These hospitals help take care of logistics so that the patient can focus on recovery after Aortic valve stenosis. The accreditations and certifications of a hospital can help Aortic valve stenosis patients make a judgement about their level of safety and quality. Any hospital accredited by the Joint Commission International (JCI) meets a number of safety requirements specific to healthcare. Lyfboat – a trusted Medical Advisory & Discount Platform, enables patients to find quality Aortic valve stenosis at affordable costs! Our platform facilitates direct connectivity, communication and free medical opinions from top medical institutes, all from a single source. We negotiate the best offers for you and provide expert medical advice to help you make informed decisions!